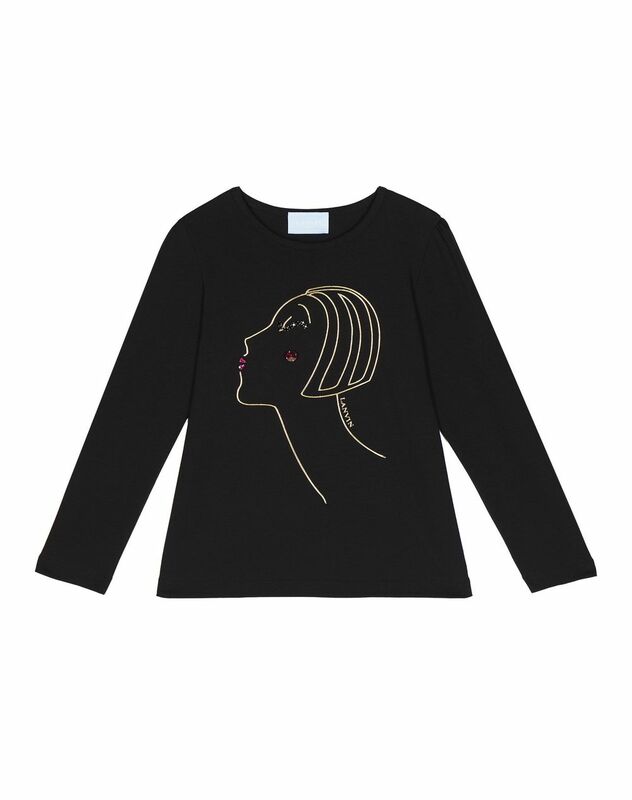 Long-sleeved black cotton jersey T-shirt, crew neck, gold profile print and embroidered pearls. This black cotton T-shirt stylishly enhances the Winter 2018 Collection. 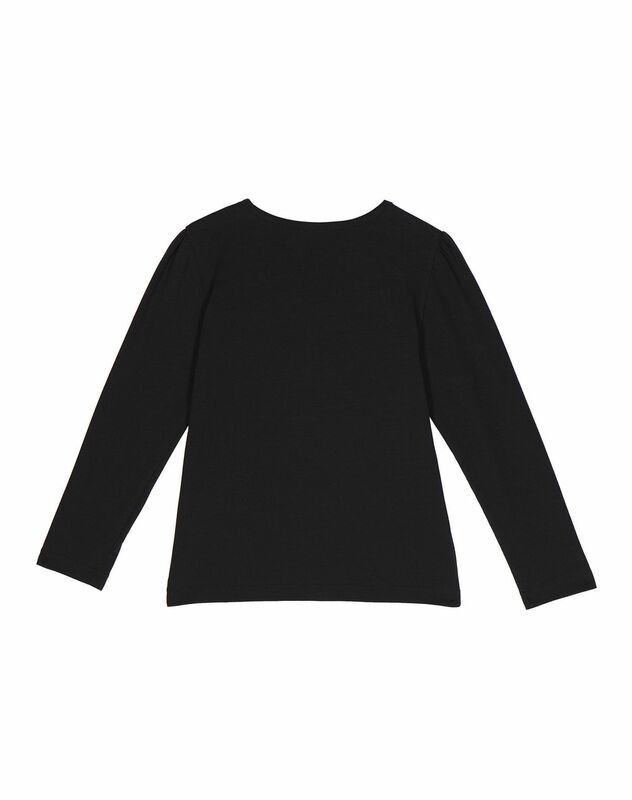 A comfy model that goes perfectly with any young girl’s wardrobe. The embroidered pearl detail creates a casual yet trendy look.